When you are looking for a bus to meet your needs, however, you need to ensure that you have the ability to buy bus parts, and to get them at a reasonable price. We understand that can be a tall order for a few reasons. First of all, you can’t exactly drive to your local auto parts store and ask for a new alternator to fit your Eldorado Aerotech. Quite frankly they’re going to look at you like you’re crazy. The parts for buses, even shuttle buses tend to be a bit more durable, and heavy duty than those you would buy for a typical car. That being the case, it becomes important for you to find parts for a bus that are of both high quality and that don’t affect your bottom line. Atlantic Bus has precisely what you’re looking for. You’ve been searching high and low for the provider you need, and we’re here to tell you that finally, at long last, the search is over. Atlantic Bus not only sells some of the best shuttle buses in the country, we stock the best parts, both new and used. Our bus parts department is chock full of thousands of the best bus parts on the market, all of which can be picked up at your convenience, or shipped across the country when you need them. What is it that sets us apart from other dealerships? Our experienced staff, that’s what! 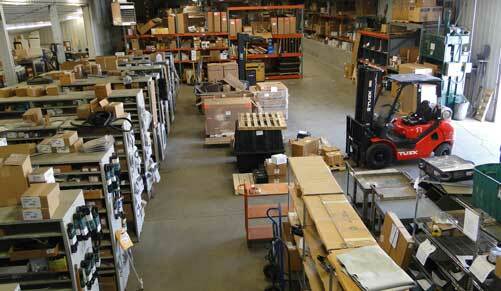 We have knowledge and experience in the industry that rivals any other bus parts warehouse in the country. We don’t just sell you parts, we impart our knowledge, should you need it, and we’ll help to ensure that your installation is a success. Not only will we help you out during your initial purchase, we’ll make sure that any problems you happen to have after your installation are dealt with swiftly and professionally. It’s just one of the services that make us great and makes your company thrive. We offer parts from all of the major manufacturers including Krystal, El Dorado, Turtle Top, Sprinter, federal, and many more. Need more information? Don’t hesitate to call us and speak with our team – we’ll get you on the right track and make sure your buses are fully functional. As stated before, we stock a massive bus parts inventory including parts for Diamond bus and New England Wheels bus parts for sale. Not only do we have the stock, we are more than willing to ship worldwide, giving our overseas customers access to the parts they need to keep their buses on the road. Remember, buying a bus isn’t the end of the transaction, and we completely understand that! To that end, we are able to supply any part at any time, day or night. All you need to do, is find the part number, give us a call, and make sure you’re up and running. As always, we offer support after the fact as well as a parts warranty to ensure that once you have purchased, you will be able to use your product safely, and return it if anything were to go wrong. We pride ourselves on seeing the customer’s needs all the way through, and ensuring that they get the support they need. In addition to providing a full range of bus parts, and you can even buy bus parts for used vehicles that will fit your bus as well as your budget. Take a look at our stock today and speak with one of our seasoned professionals. We’ll get you repaired and back on the road in record time.